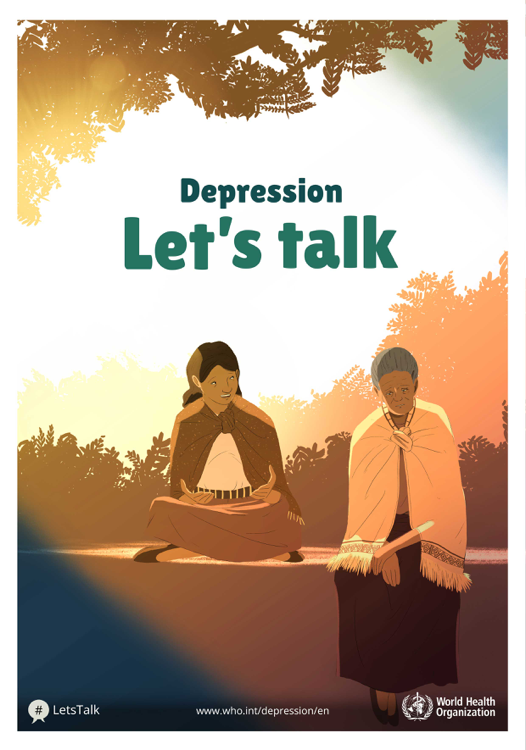 Depression affects more than 300 million people of all ages, from all walks of life, in all countries – but less than half of people with depression (even less than 10 percent in many countries) receive treatment. 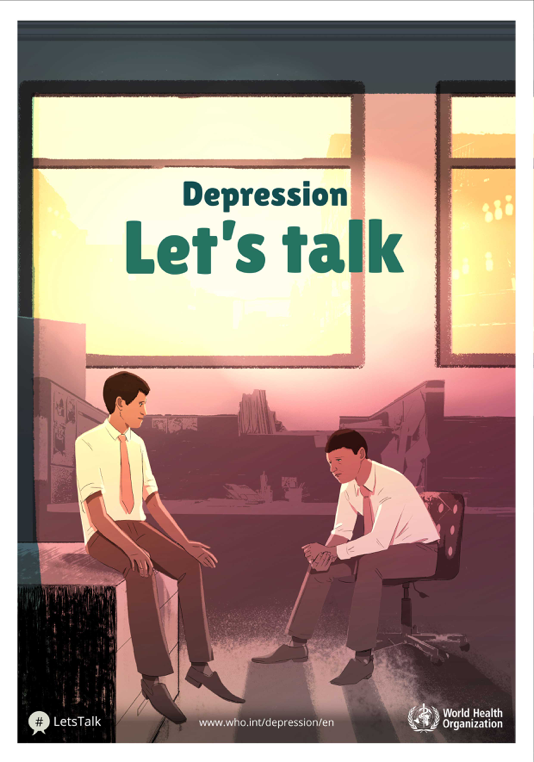 In honor of World Health Day, WHO encourages you to use the hashtags #LetsTalk and #depression, as well their predesigned apps and graphics to spread awareness over social media today. So who are the “right people” to talk to? The University of Michigan Depression Center (UMDC) says it’s important to discuss your depression with your healthcare providers. “Emotional problems such as depression are not always evident to healthcare professionals focused on physical ailments,” they say. When you make a list of topics to raise with your doctor, include your depressive symptoms or mental health concerns, just as you would discuss any physical symptoms disrupting your life. Although doctors and the public rarely discuss it, depression can also go hand in hand with many other health conditions and it’s important to treat. Beyond doctors, UMDC says whom you share with and how to do it is a personal choice. Their Depression Toolkit outlines some pros and cons of opening up and advice for choosing confidants. “Remember: quality is more important than quantity—even one confidant is a great asset.” Seeking support anonymously through online forums (like our Mental Health and Behavior community) is a good option, they say. If you’re feeling suicidal, talk with someone right away. Speak with a family member, friend or doctor, or dial 911 or one of these hotlines. On PatientsLikeMe, nearly 39,000 patients have major depressive disorder (MDD). Of those, about 17,000 say MDD is their primary condition. Every day, members talk about symptoms, treatments and ideas for coping with depression in the Mental Health forum, so join the discussion today.